Online games are the new cool of Internet but still comes with great uncertainty of losing money. We’re listing down official and legal payment methods in India to play games online. As you start playing a rummy game online, you get familiar with the tricks, tips and of course the rules. That means you are now all set to bypass the practice rummy games and start playing the real cash games. But one thing that keeps lingering on at the back of your mind is the way money transfers work when playing online. However, the truth is, it couldn’t get simpler when it comes to online payments for playing online rummy. With the rise of different payment options, it helps ensure a great degree of security along with the option to pick from the several payment methods. Selecting an online payment method is determined by what you are using the payment for, with each e-payment provider specializing in a different area. Take a look at the most preferred and secure payment options in India for playing online rummy along with a range of other transactions. 4.1 How to play rummy and use these payment options? The two most commonly used options in credit cards are Mastercard and Visa. The cards have their indelible reputation around the world and is among the most preferred choice when it comes for making online transactions. The transactions going out through these credit cards are highly protected, with added layer of security for large payout amounts. The worldwide acclaim also states that the transactions from both sides can be trusted and will go through without any issue. The cards have a good chargeback policy that allows money to be recouped from your bank should there be a dispute of any kind. 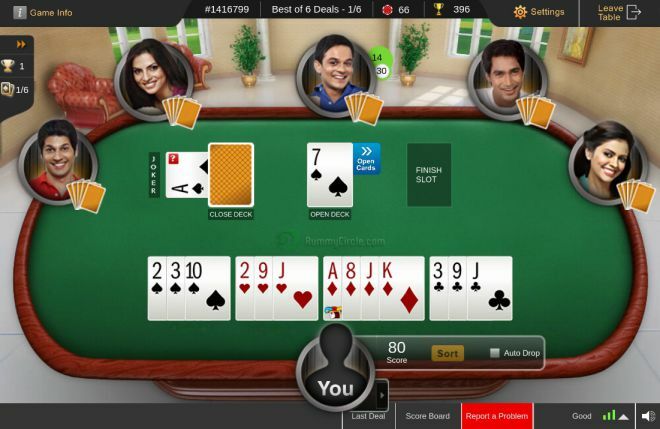 This is a big peace of mind for online rummy players. A new wave to use e-Wallets has started, especially after the demonetization last year. It encompasses the different aspects of payment that millennials are more likely to use. Further, it goes hand in hand with the cashless society that India is moving towards on a steady pace. The wallets make it super convenient to transfer and receive money whenever you want to multiple sources. This works for online rummy as well. eWallets are especially preferred by players who want to stay away from credit cards and still transact safely. Just like any other online transaction, the players can pay for the games with the cash available in their wallet and be confident about 100% security at the same time. Well, anyone who has a bank account will also have a debit card in his pocket. Debit cards are equally secure as credit cards. The only difference is the direct debit from your bank account. When you are transacting with your debit card, the money goes out from your account instantly. There is no scope to do any kind of stop payment or chargeback as in the case of credit cards. However, it also gives you more control on the inflow and outflow of cash. For example, if you are paying for online rummy games from the same account where your cash winnings are transferred then you can play more games faster. UPI is a mobile payment that makes good use of your smartphone. It will allow you to do different financial transactions without you having to worry about security in any way. The UPI allows you to send and receive money using the virtual payment address without the need to enter the bank information. The merchants just have to connect with the banks to accept the payments using UPI. This becomes extremely handy when playing mobile rummy games. You can just swipe and go on playing games. If you are thinking about security, well it is equally secure as the remaining payment options. How to play rummy and use these payment options? Yes, we started on that note. So, once you have got your how to play rummy and the game rules for tournaments and cash games defined, you can pick cash games or tournaments and when it asks you to pay the registration fee, you can use any of these options. All the payment options are 100% secure. The preferred choice will depend on which payment option you are most comfortable with. So, don’t hesitate to play online rummy games and get started today. Playing games online is subject to financial, market and other associated risks. We advise readers to use their diligence while choosing the correct amount of investment.